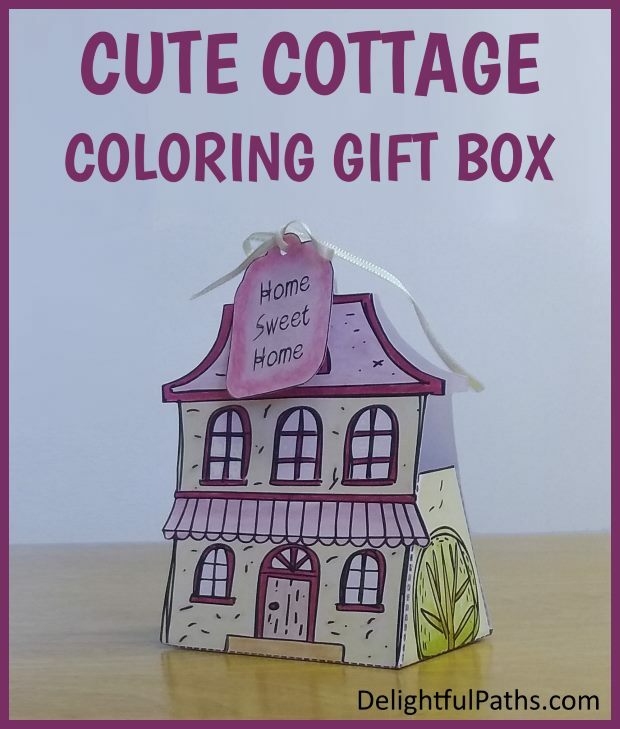 This cute cottage coloring gift box is very easy to make. 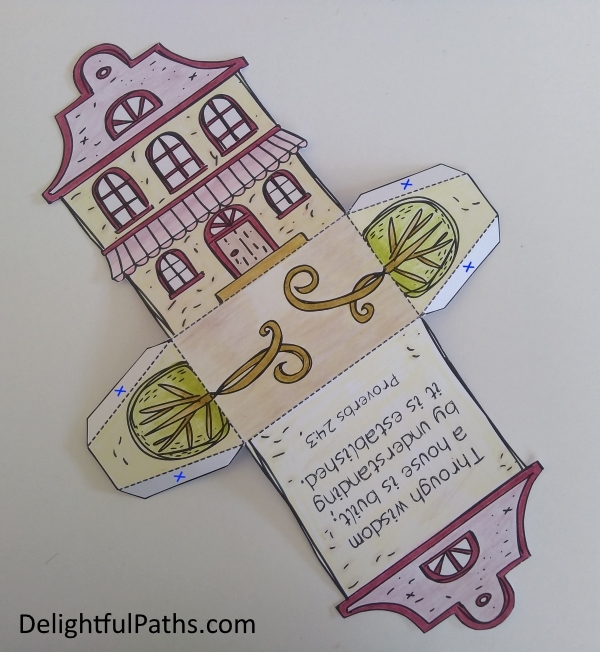 This craft comes complete with free coloring page and simple instructions to make a sweet little box suitable for those little gifts for Mother’s Day, house warming, or birthday. My daughter will be getting married in just over a week, and she will be moving into a little cottage with her new husband. 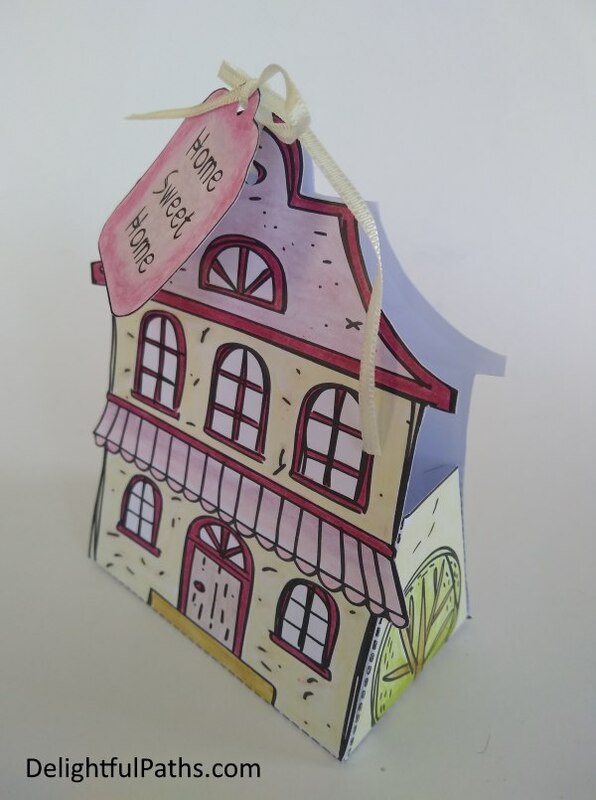 So I decided to create a special little gift box for you to color which could contain a little house warming gift. The gift box measures about 3″ x 4.5″ (8 x 11 cm). 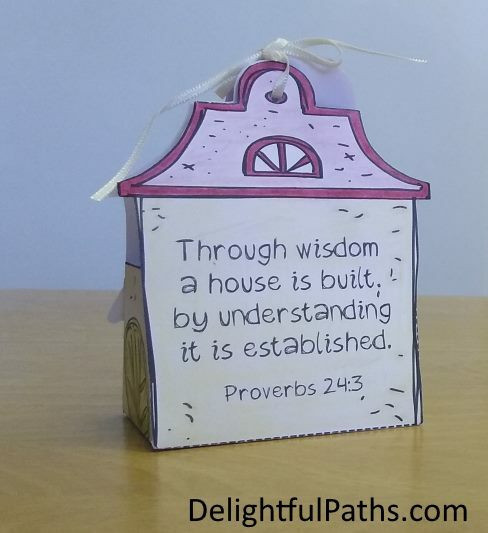 Through wisdom a house is built; by understanding it is established. Color the cottage box template. Because my daughter loves shabby chic, I decided to use the Pink Roses in a Vase color palette from these shabby chic inspired color palettes. Cut out the gift box template and any tags you are using. Then score along the fold lines (the dashed lines). Using double-sided tape or glue on the tabs (marked with a blue X), stick the box together. Finally, punch holes in the front and back of the top of the box and tags. Now tie the gift box together at the top with the ribbon, attaching any tags you want to use. Subscribe (free!) 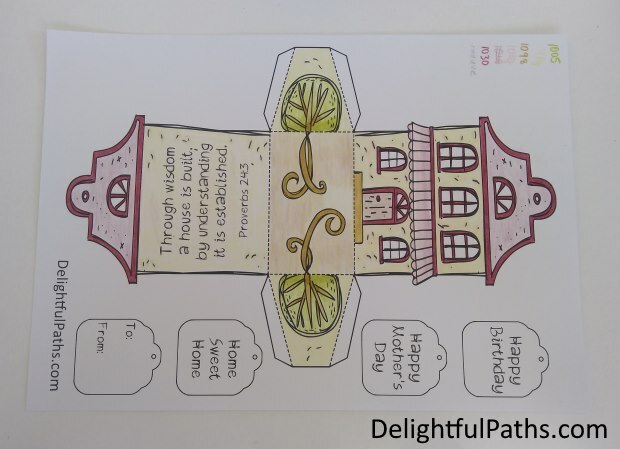 to get access to the Cute Cottage Bible Verse Coloring Gift Box coloring page (as well as my whole resource library with all my coloring crafts and printables!) Once subscribed, I will send you a semi-regular newsletter with details about my new free files, occasional offers, and other things you may be interested in.